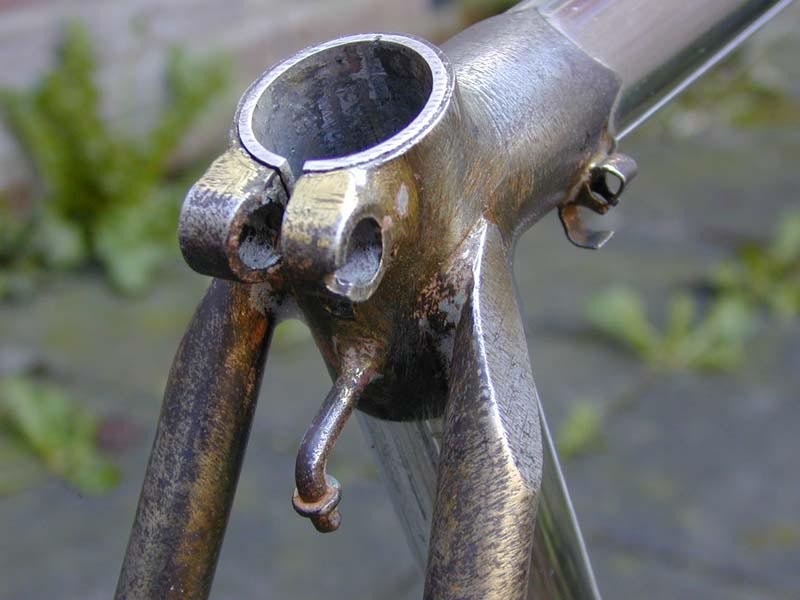 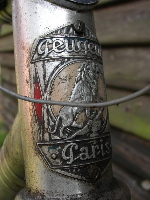 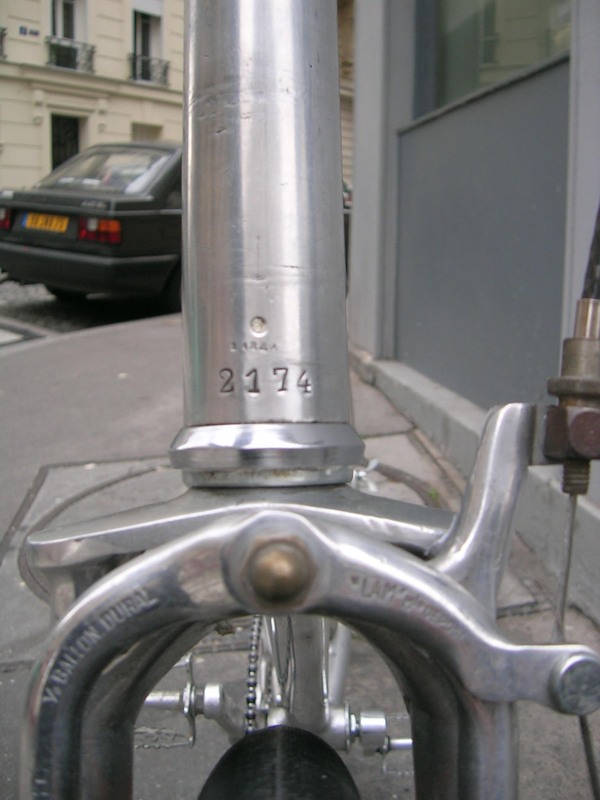 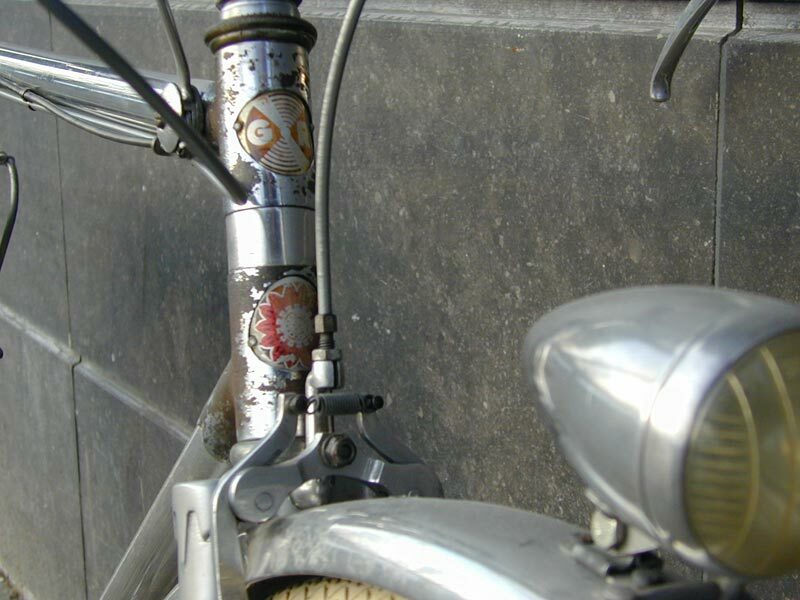 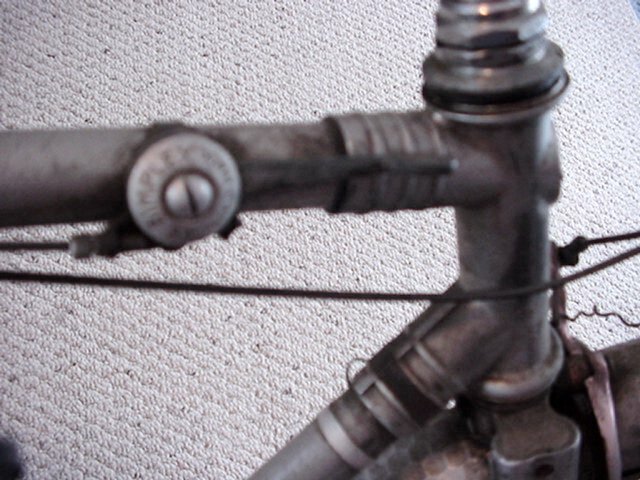 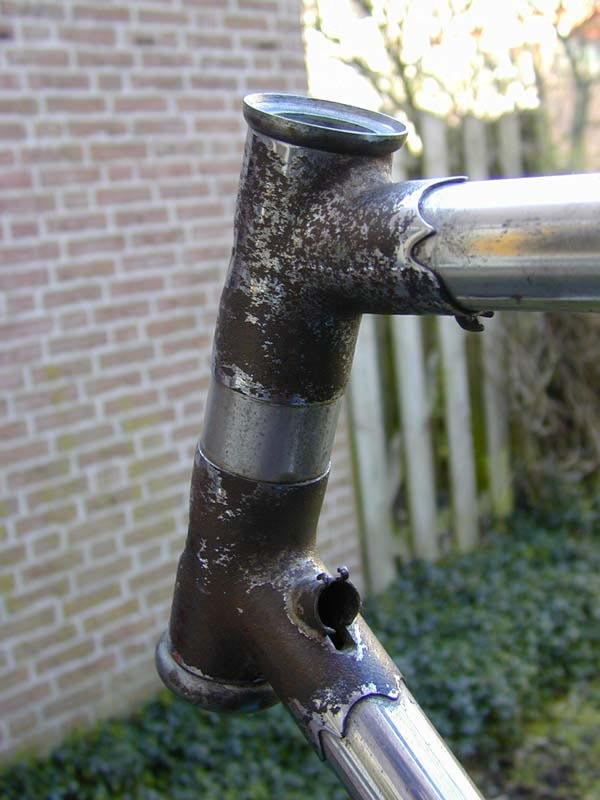 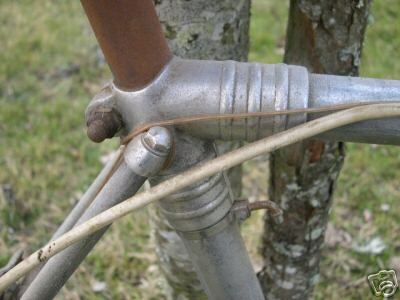 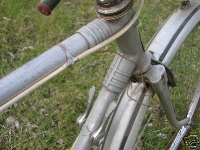 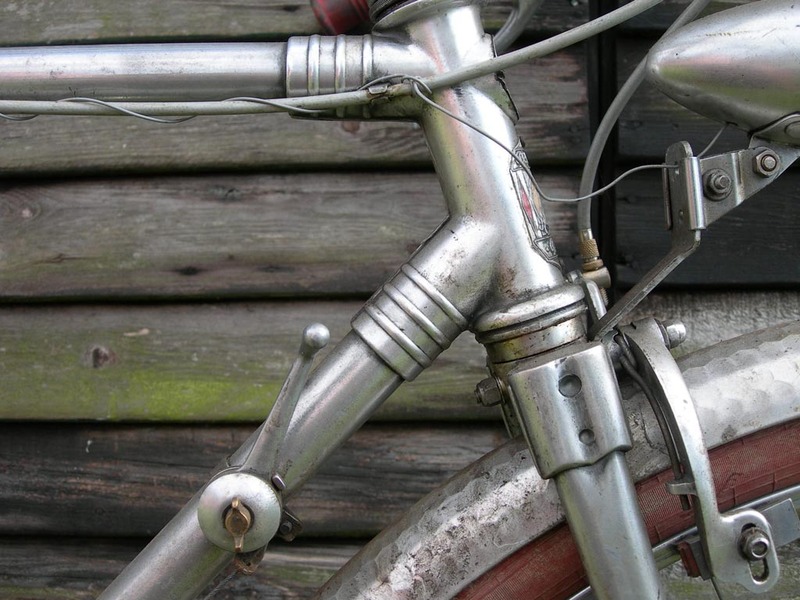 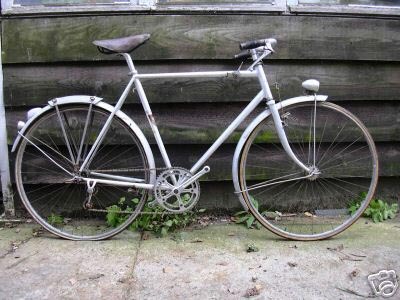 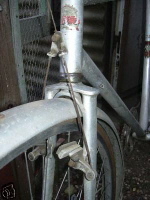 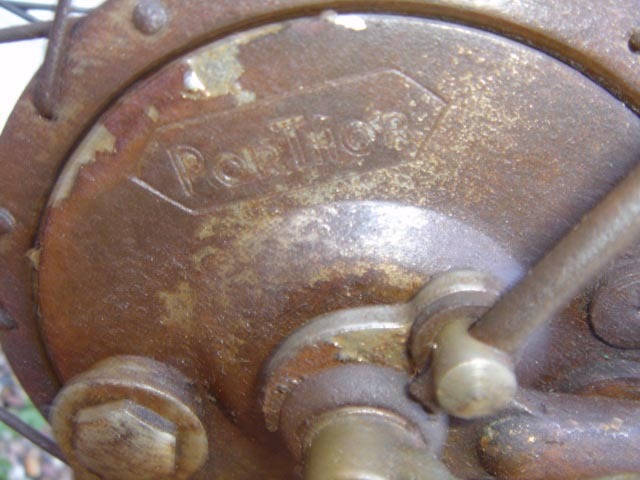 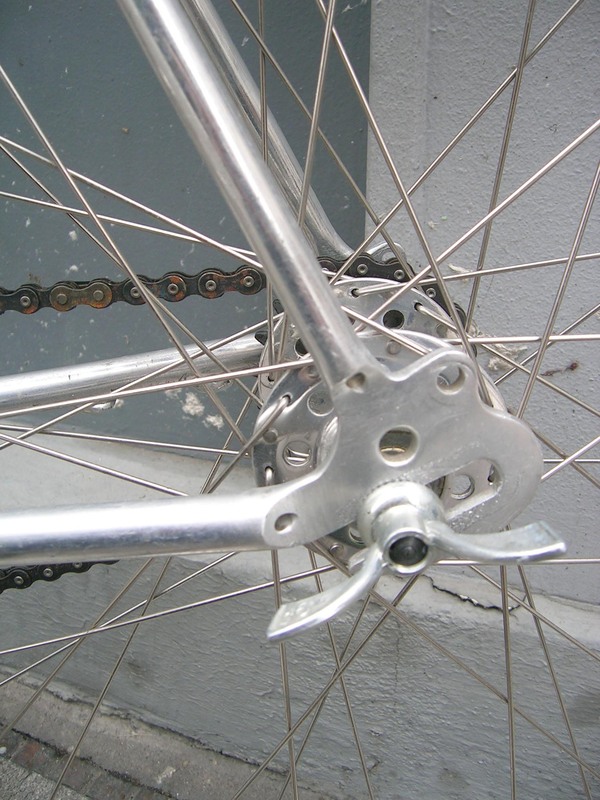 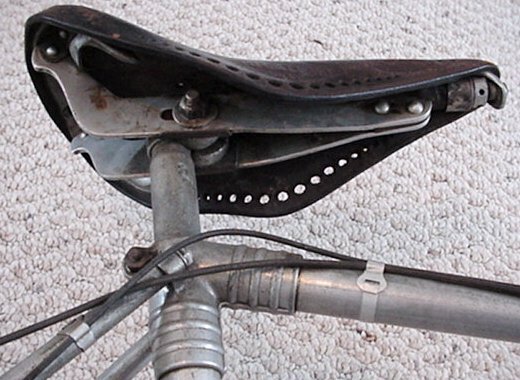 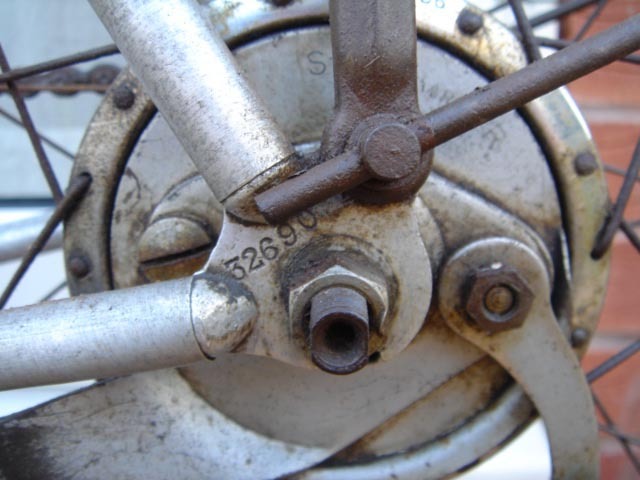 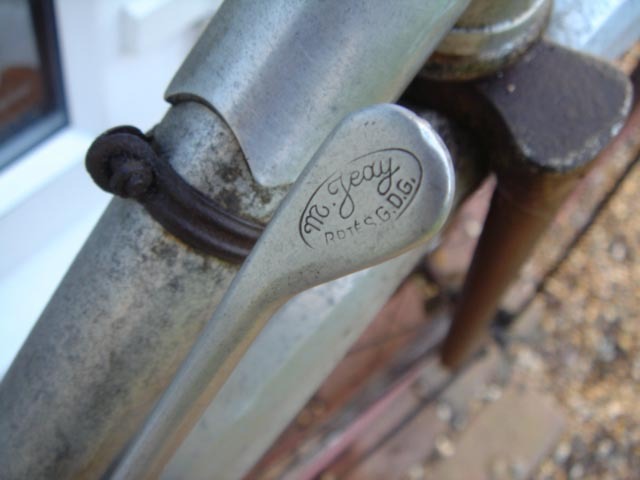 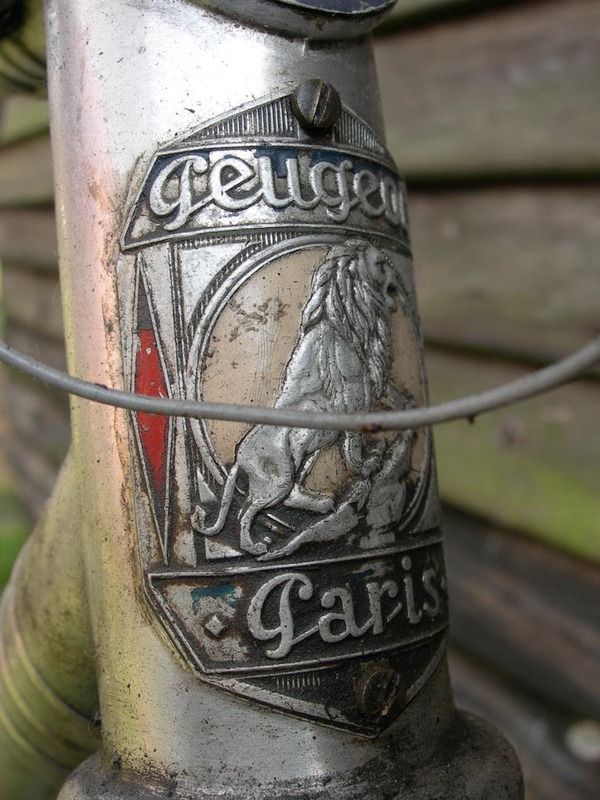 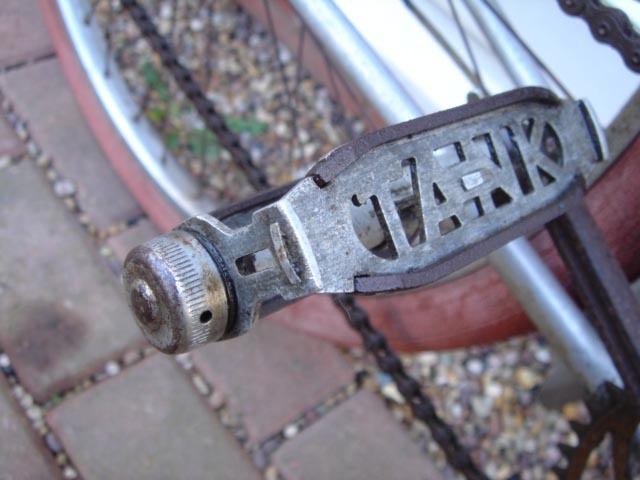 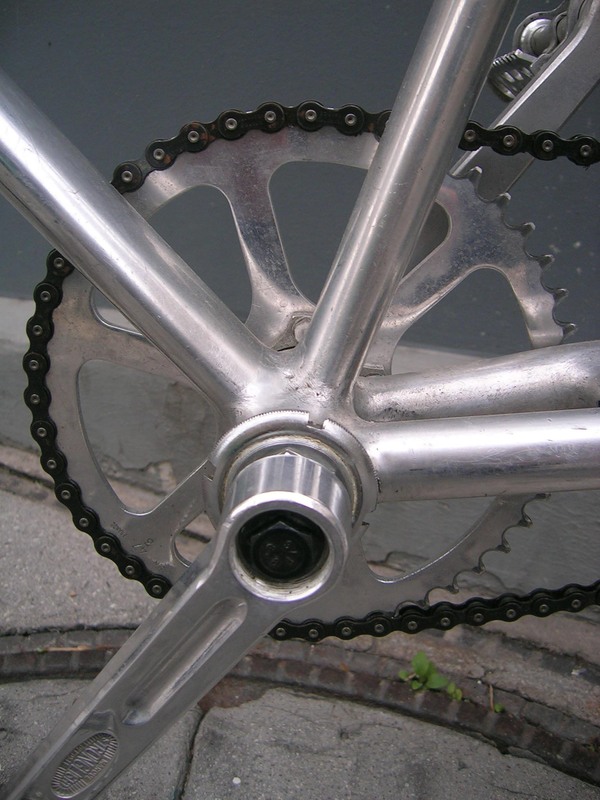 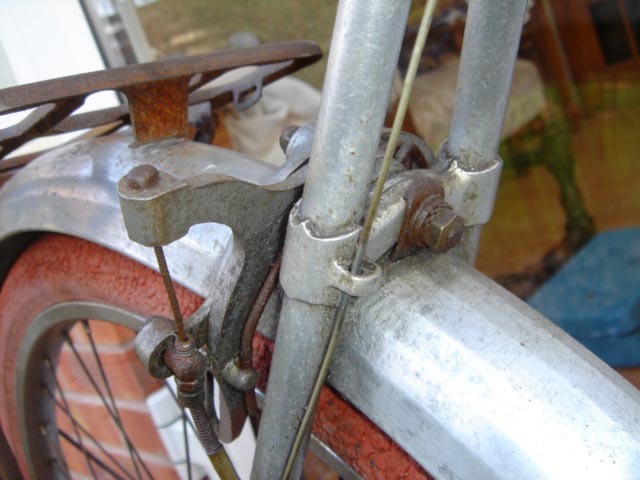 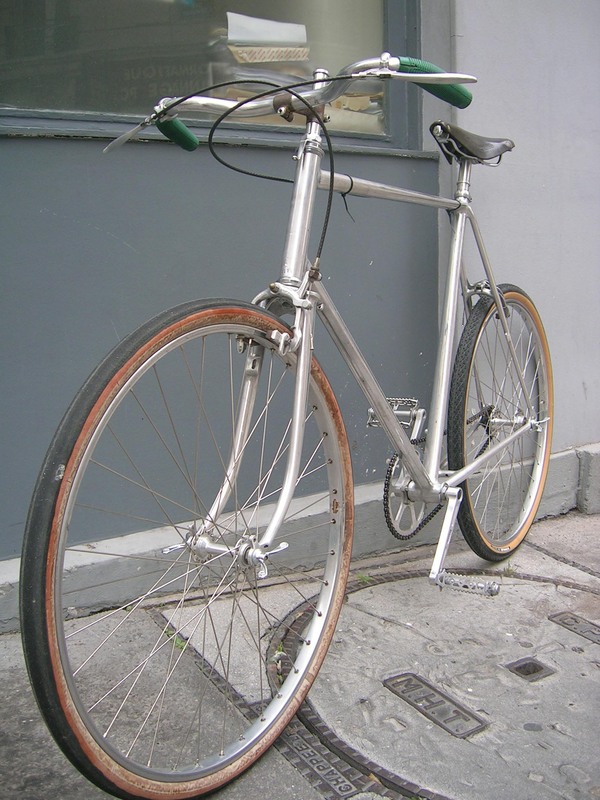 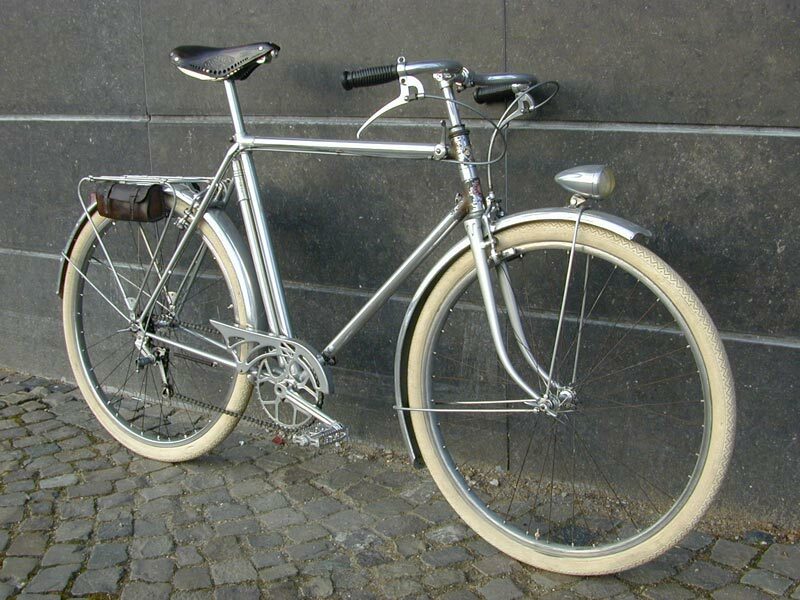 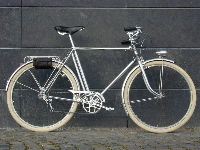 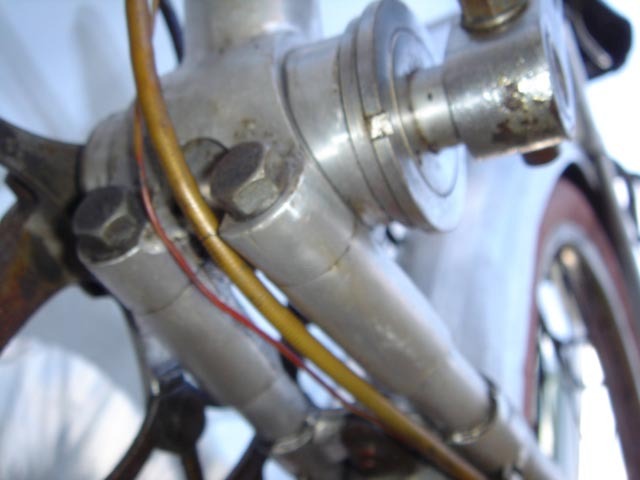 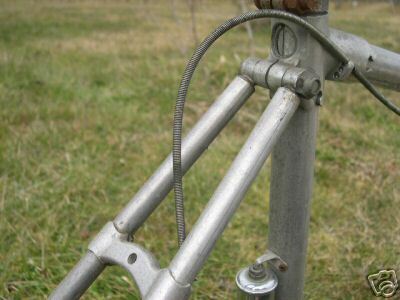 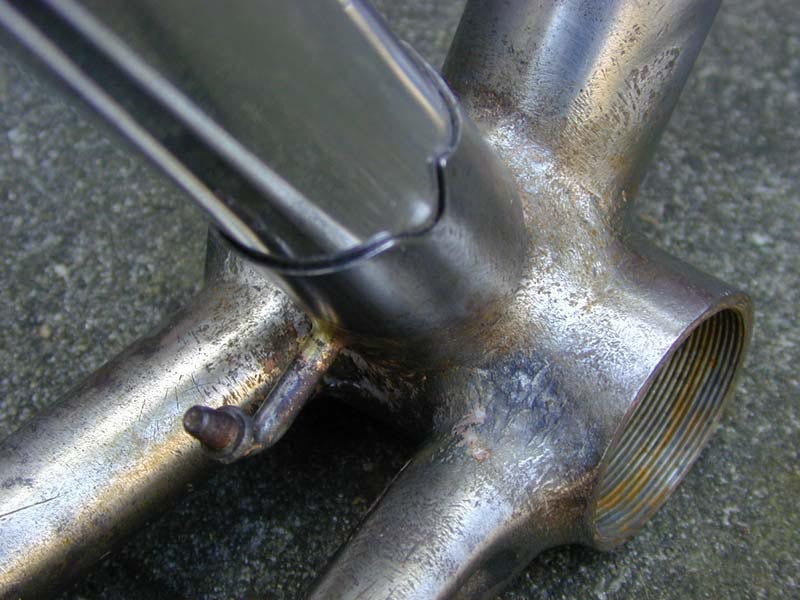 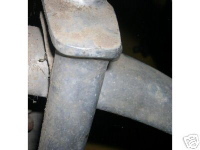 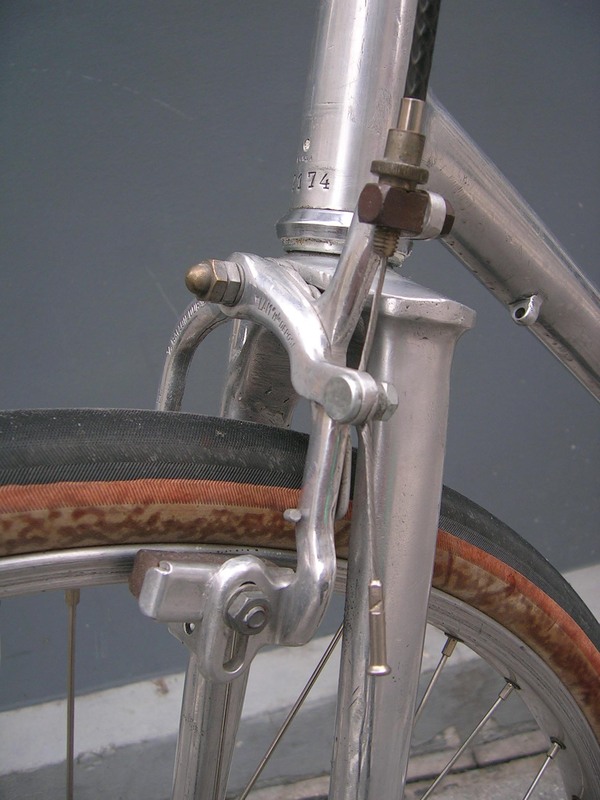 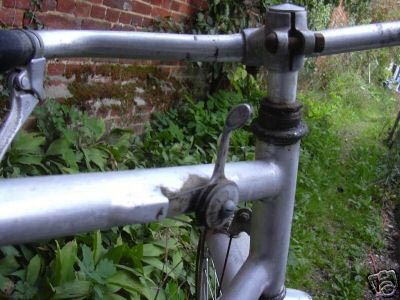 While aluminum as a frame material was really nothing new by the 1930s, having been used since the 1890s, the French seemed particularly enamored of it at the time, going to great lengths to build bicycles with as much aluminum as possible. 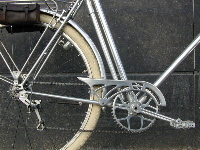 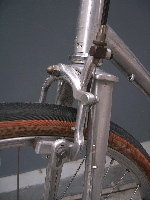 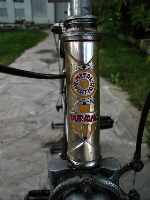 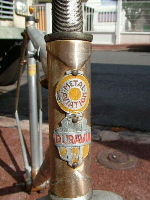 Caminargents often get the most attention because they're in many ways the most elaborate of the French aluminum frames available at the time, with their distinctive octagonal tubes and ornate cast lugs, but several other manufacturers, both small builders and larger concerns, made frames and full aluminum bicycles available during this period. 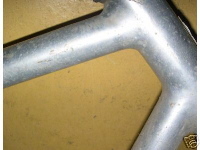 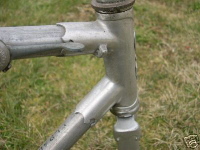 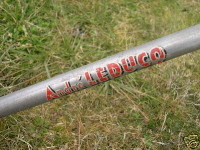 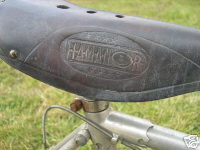 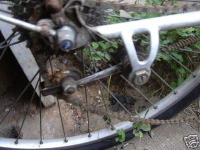 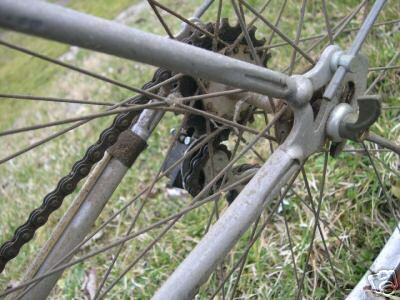 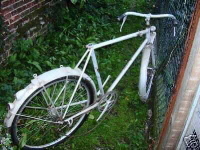 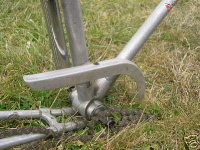 This page is intended as an overview and casual comparison of some of the other aluminum bicycles available at the time. 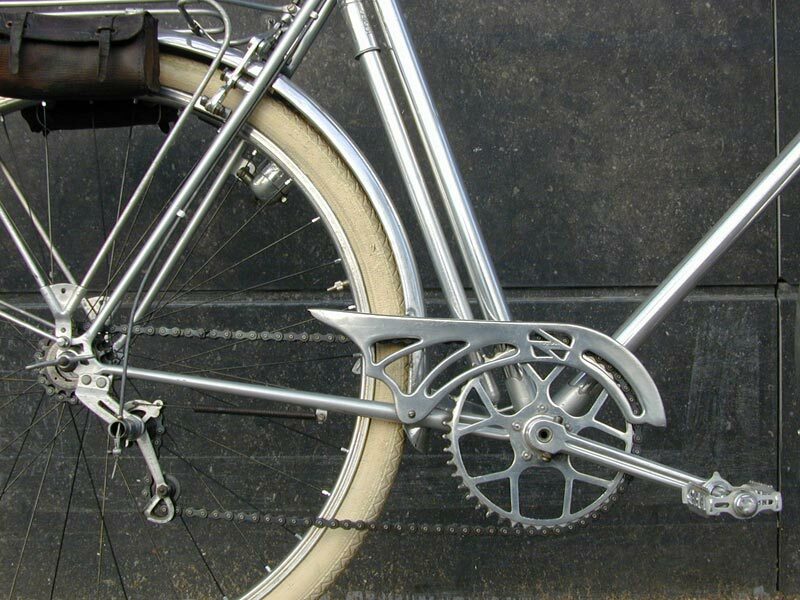 If you've got anything to add, even if it be non-French or earlier than the span during which Caminargents were built (1930-50), please don't hesitate to let me know. 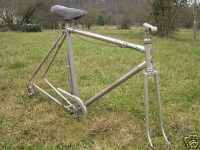 Aviac - frames manufactured near Paris (Courbevoie) and then assembled into bikes by various marques - this one by Desmonts. 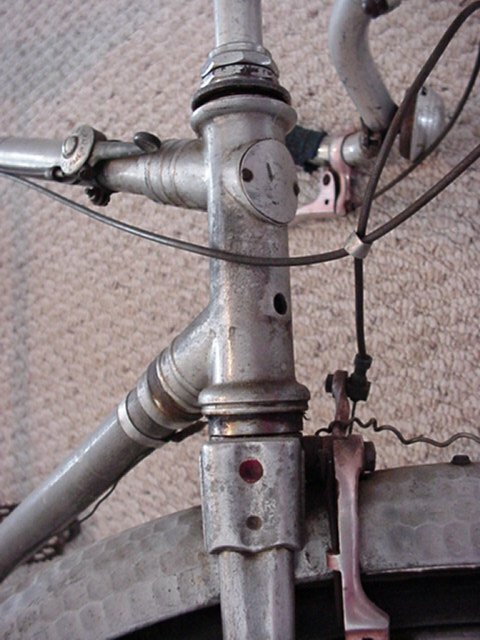 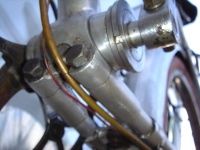 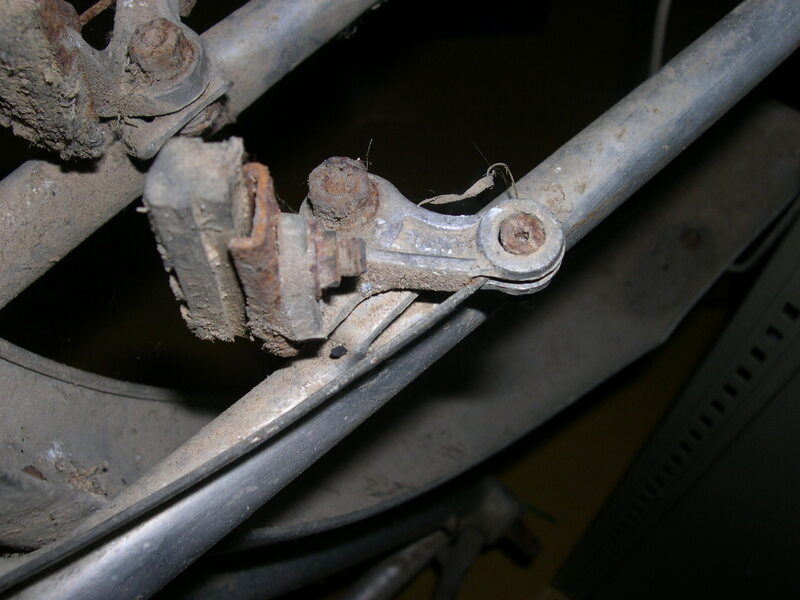 Lugged frames, round tubes, though instead of pinch bolts, these are beleived to have been swaged, basically locking the tubes into the lugs from the inside. Another Aviac frame, of unknown secondary marque. 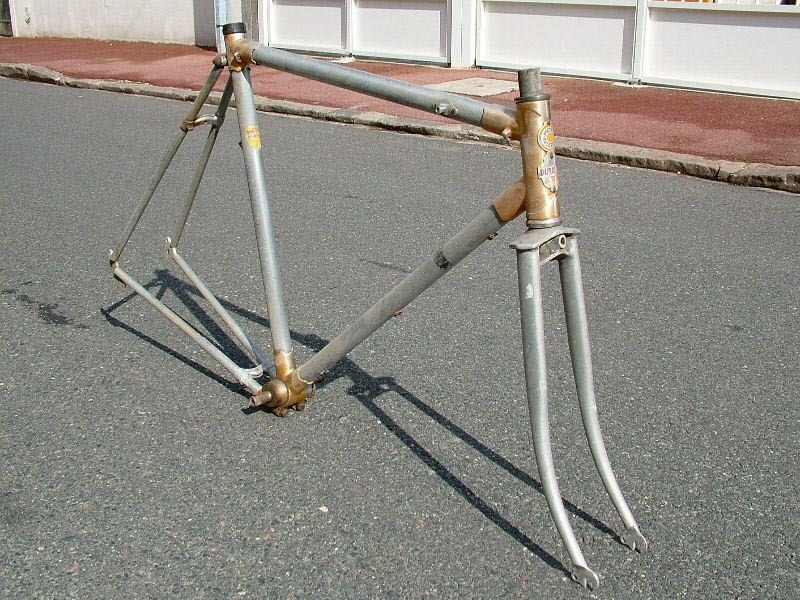 Another Aviac frame, this time badged as a Peugeot. 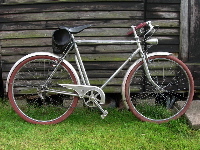 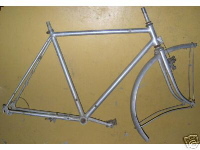 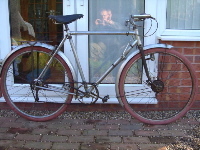 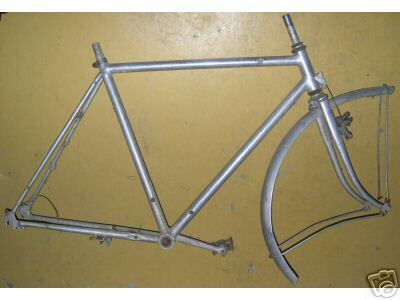 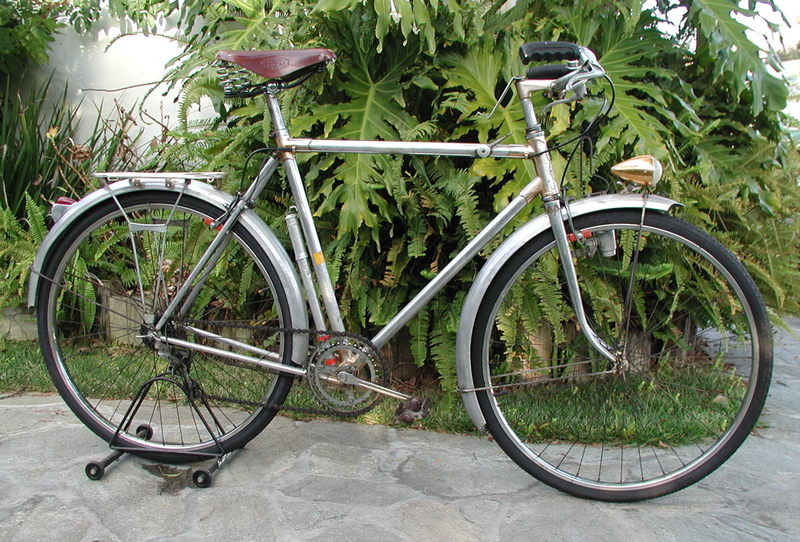 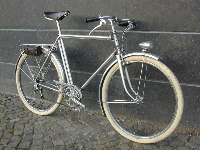 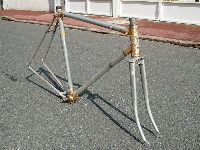 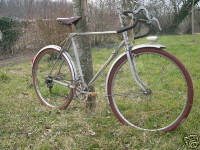 An early Nicholas Barra frameset, made while he was working for Garin in the early 1940s. 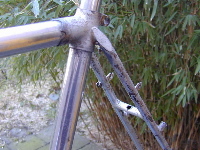 Welded and (I'm assuming) filed construction. 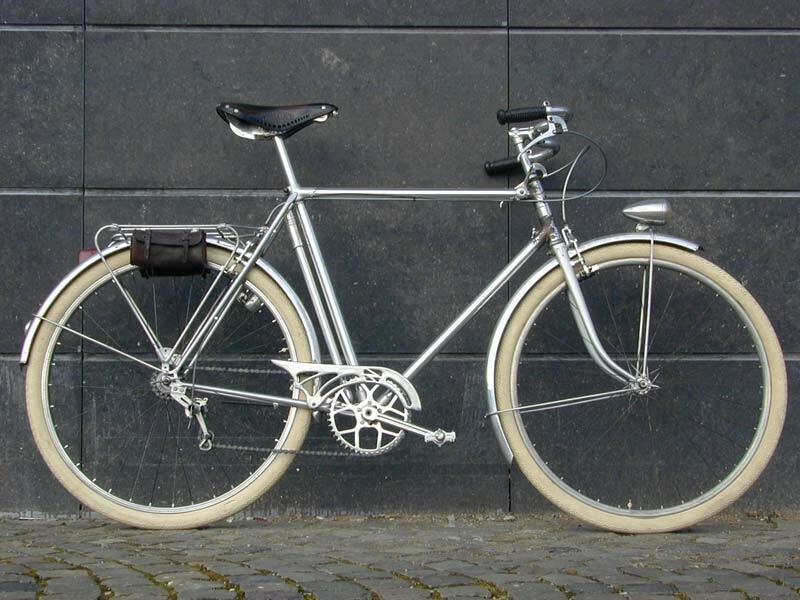 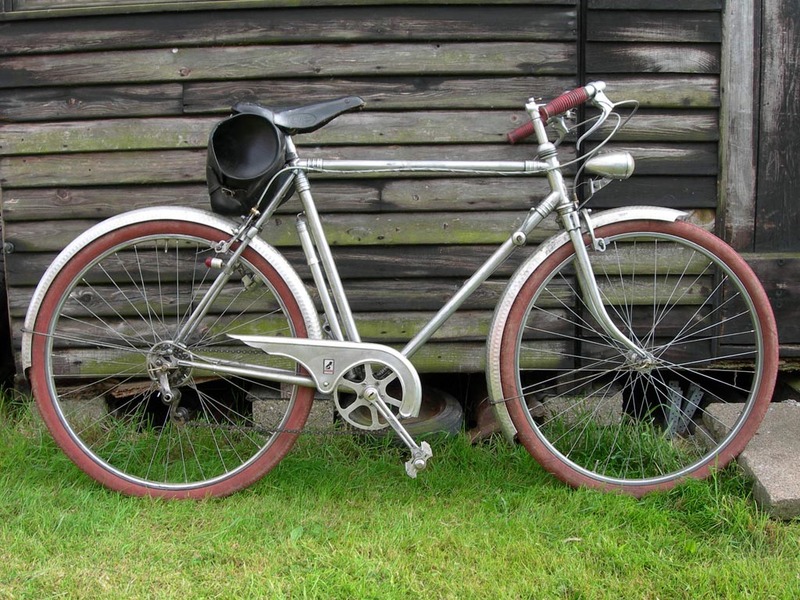 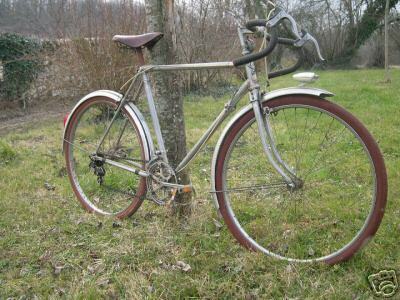 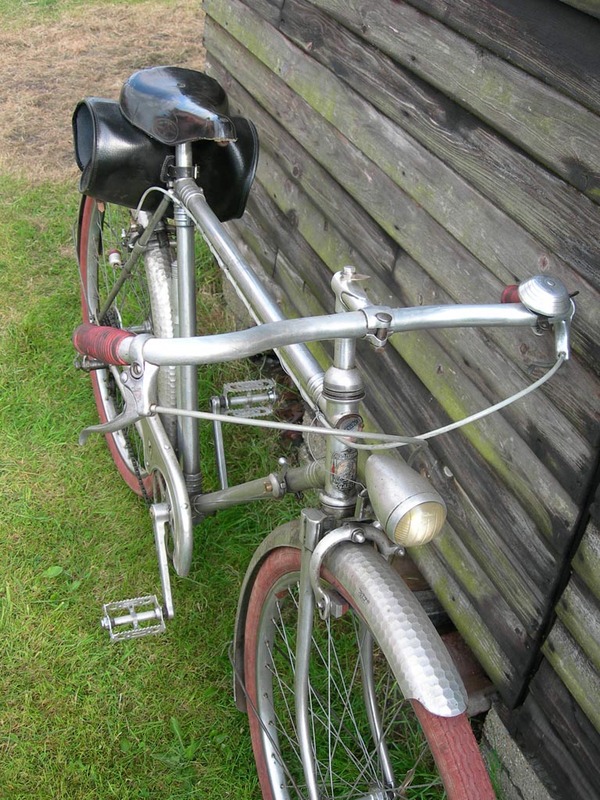 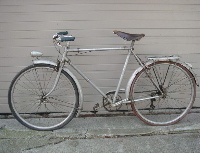 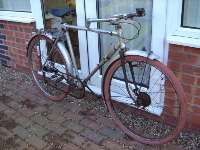 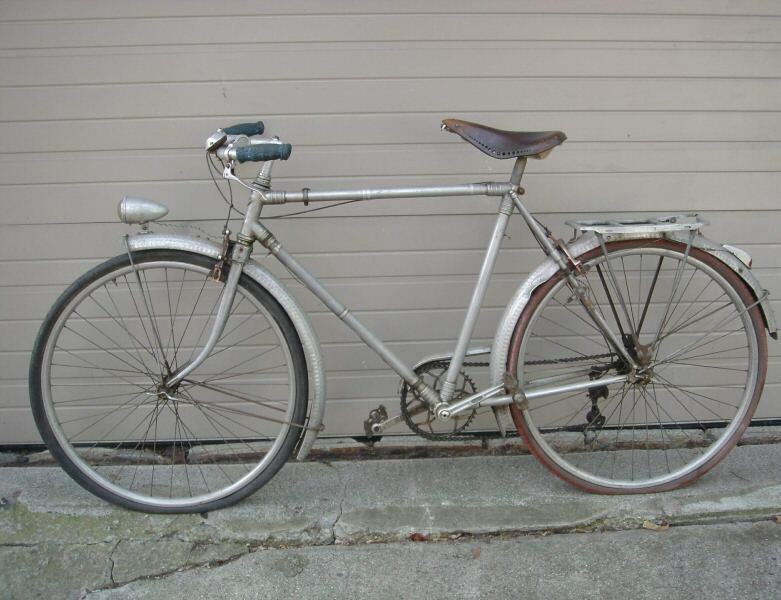 A beautiful Nicholas Barra complete bike, 1950s. 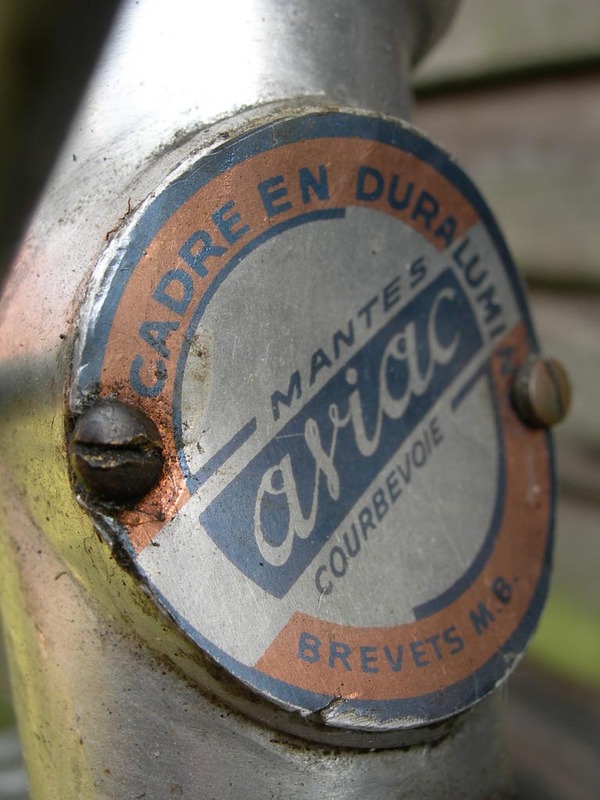 Another nice Nicholas Barra, 1950s. 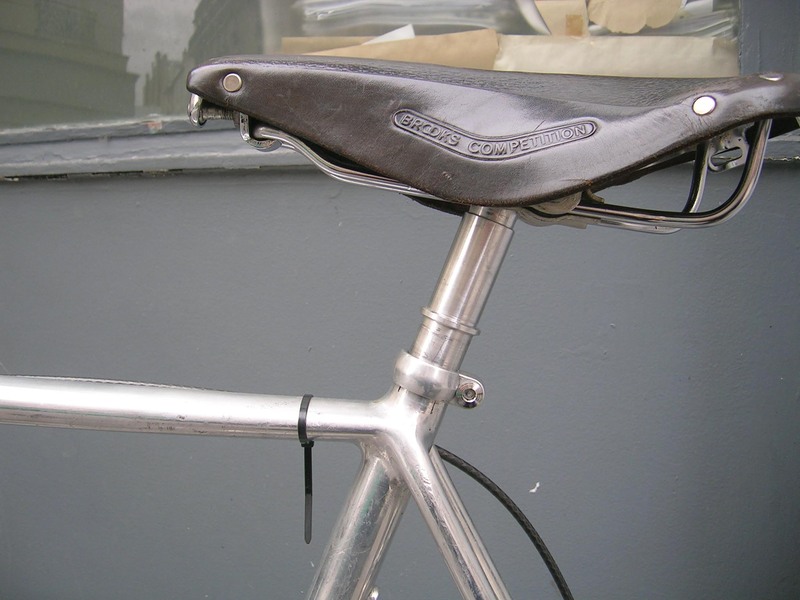 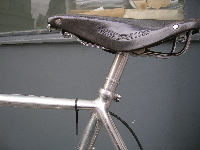 Gnome et Rhone, with 3 aluminum main tubes pinned into steel lugs, and brazed steel rear triangle and fork. 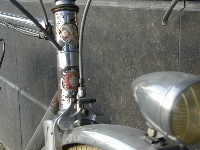 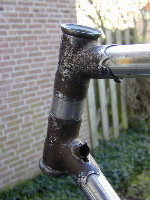 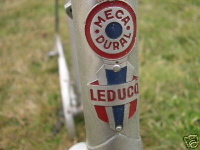 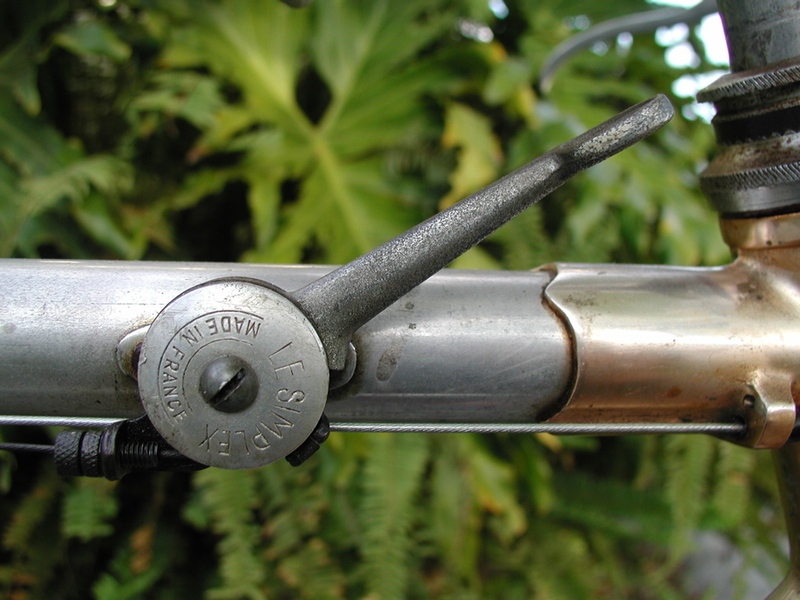 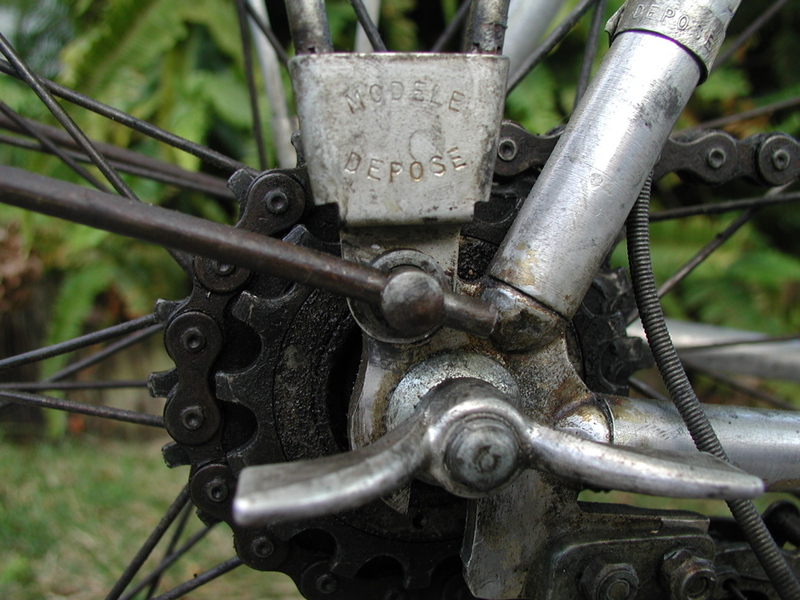 Mecadural - another mass-produced alloy frame (with steel fork) badged with several different marques. This one is an A. Leducq (Mercier). 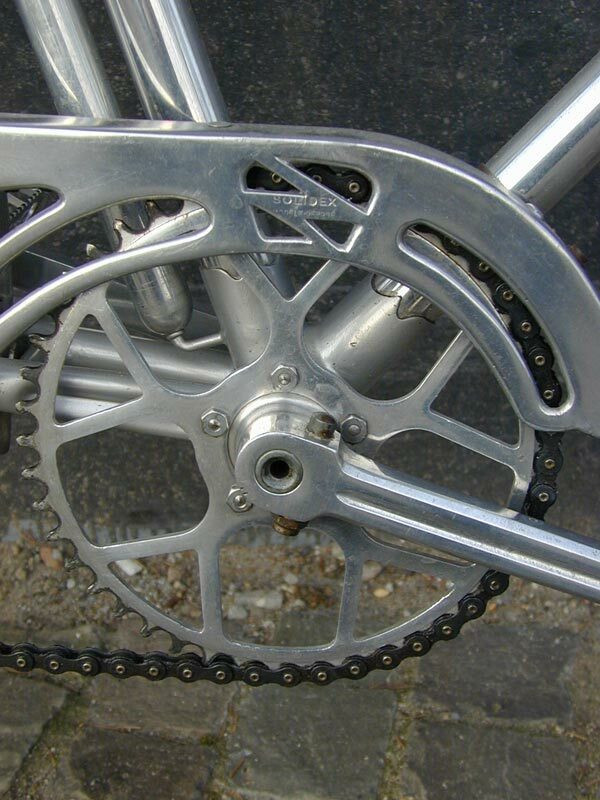 All are constructed from Alumag (a brand of aluminum-magnesium alloy) tubing held in place in the lugs by internal expanders. 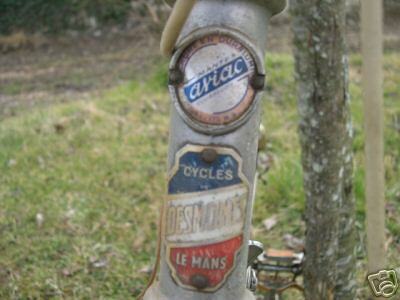 A second Mecadural - of unknown secondary marque. 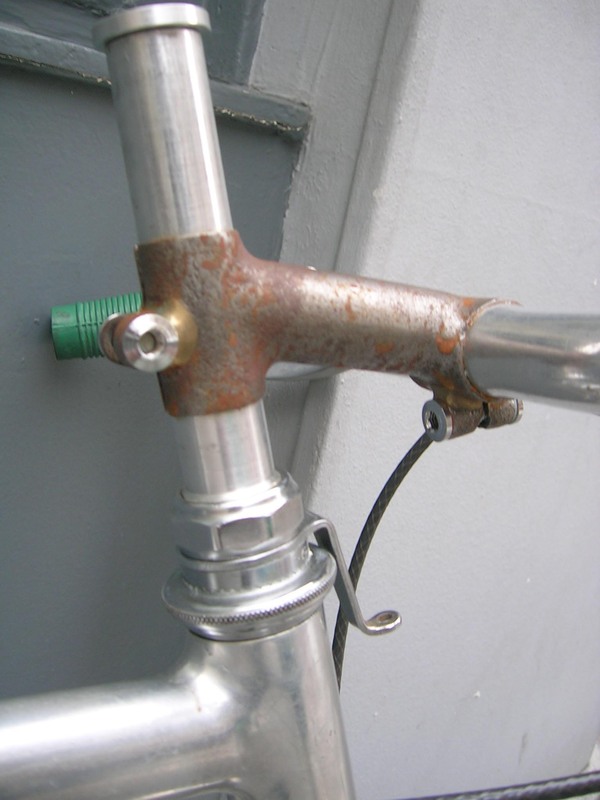 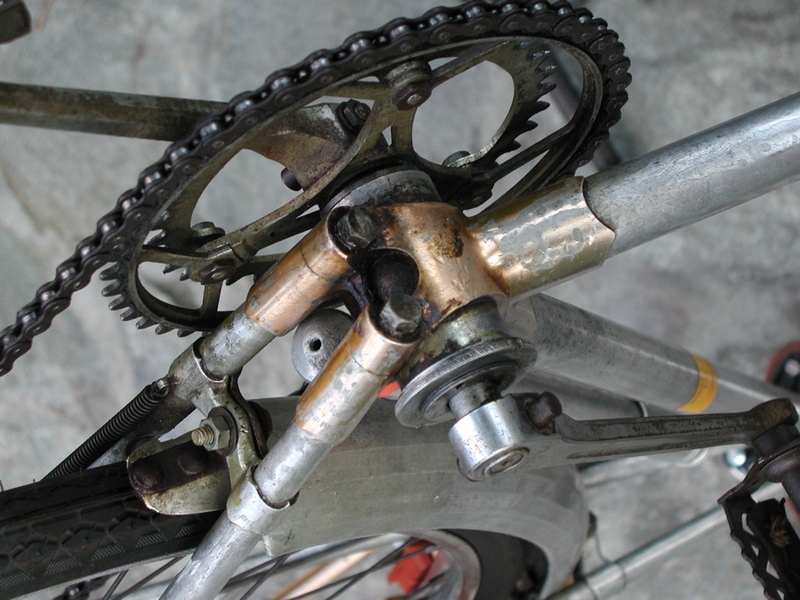 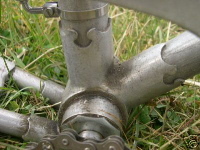 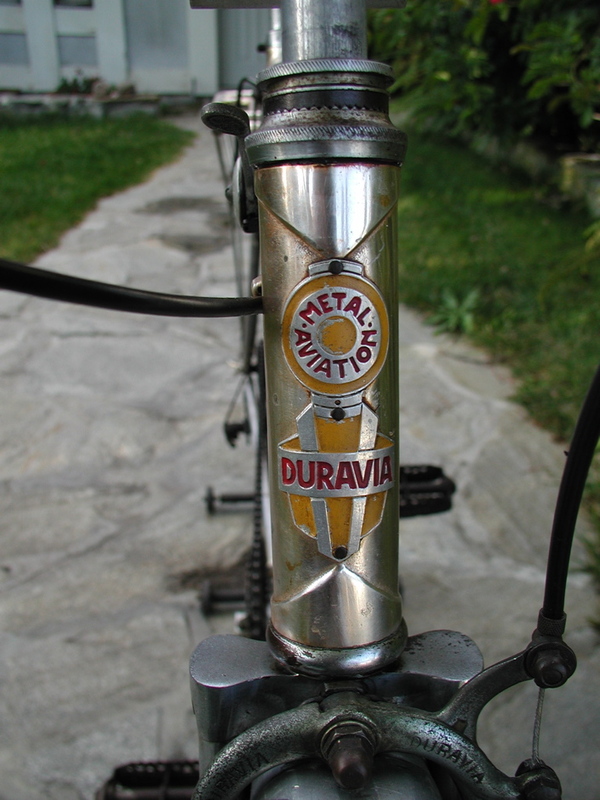 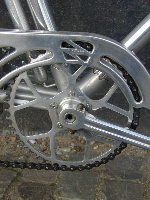 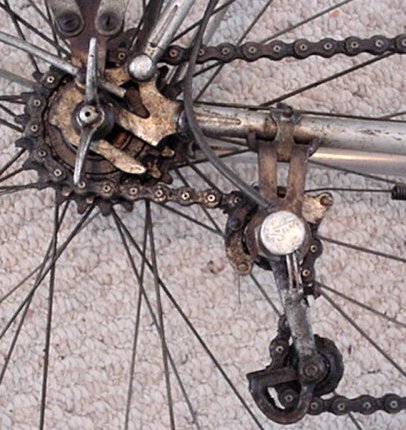 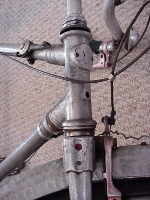 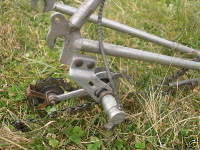 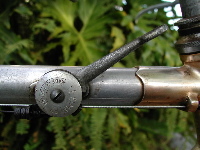 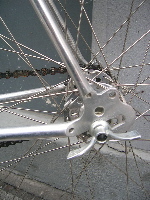 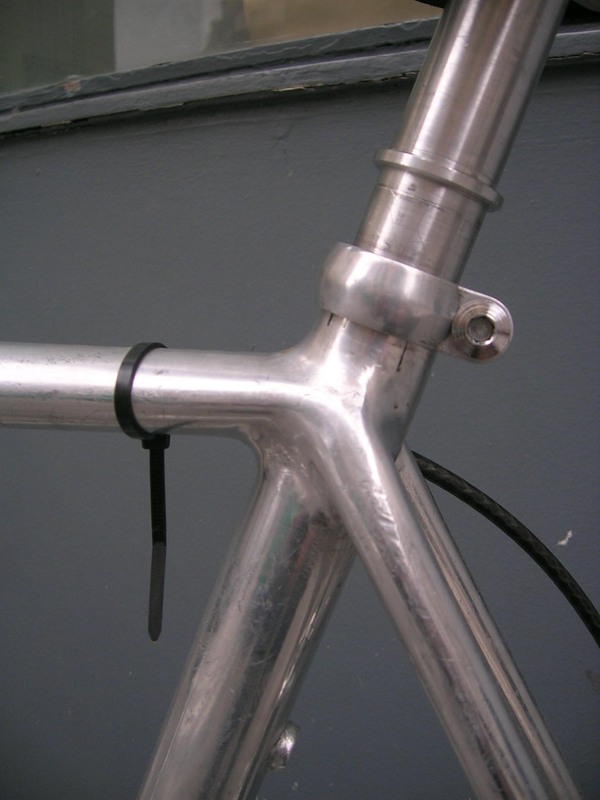 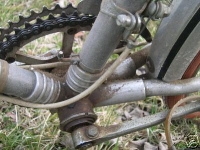 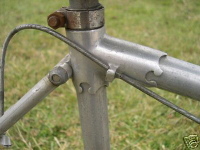 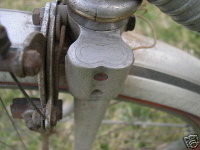 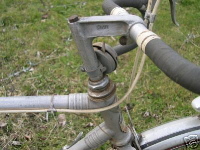 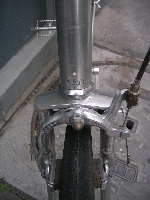 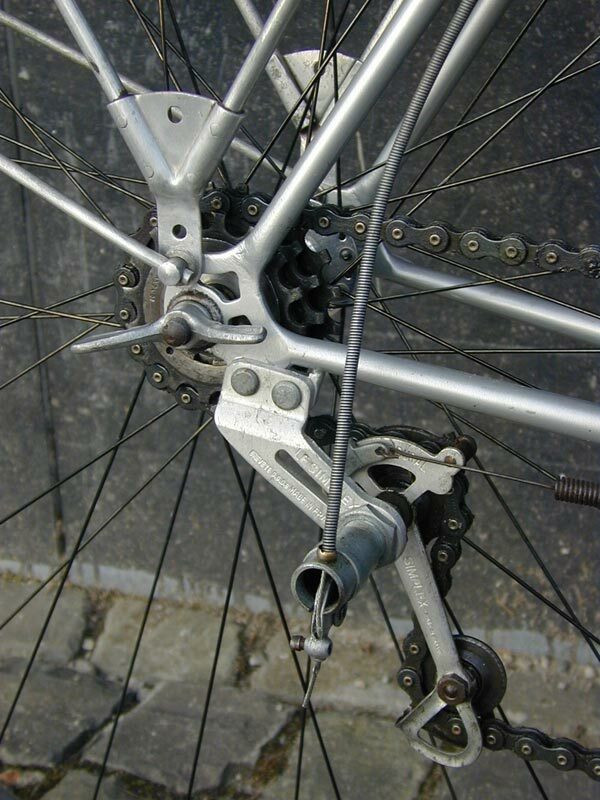 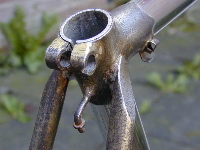 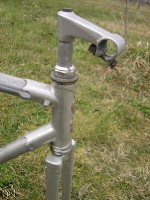 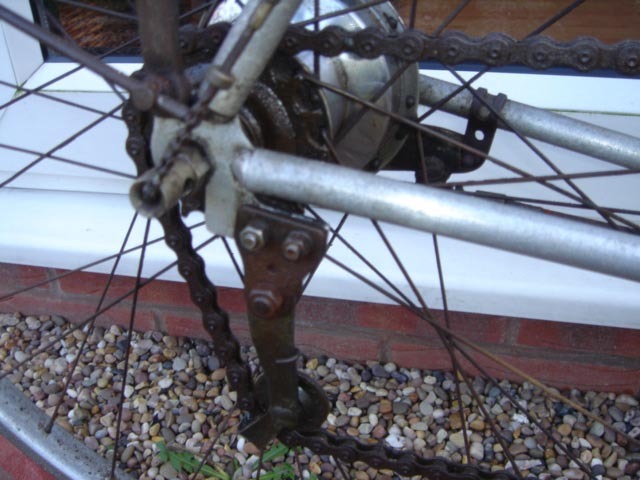 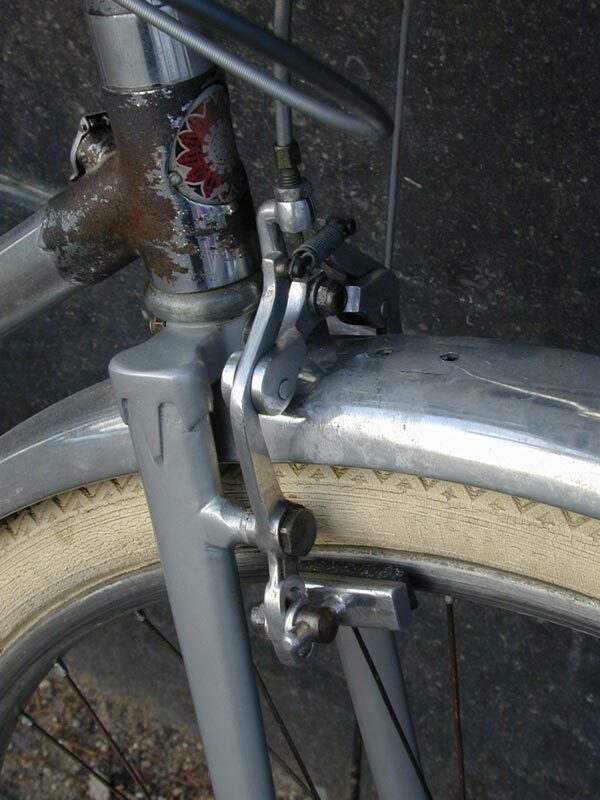 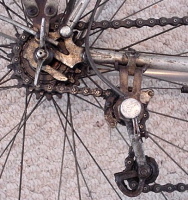 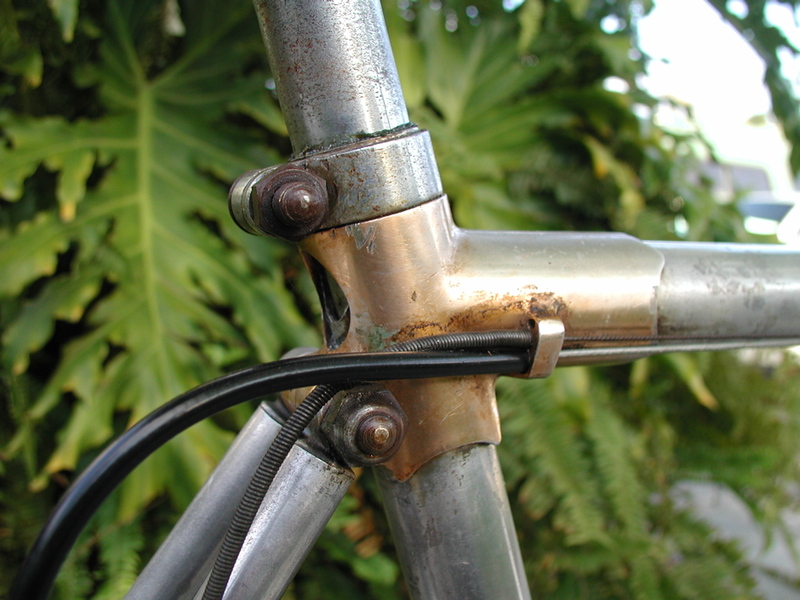 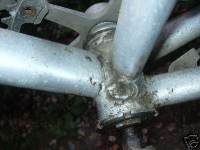 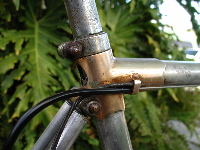 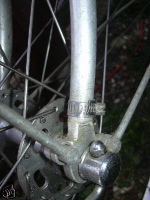 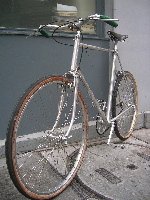 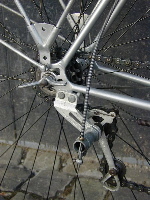 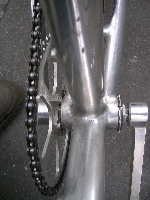 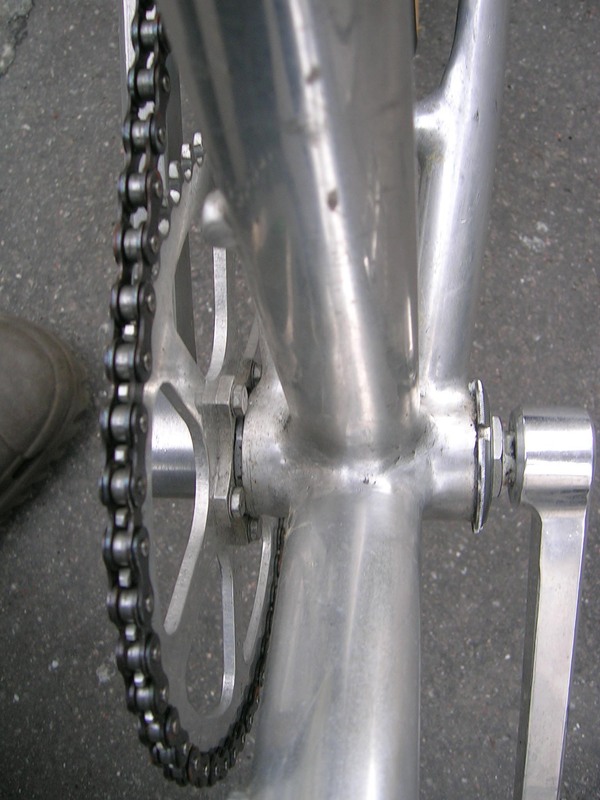 A Duravia, which seems to be nearly identical in construction to the Mecadural above - same lugs, same distinctive chainstay attachment at the bottom bracket, but with a different finish and an alloy fork.